I got hooked on matcha-everything when I was in Japan a few months ago! We all know how much I love my iced almond milk lattes, but I try not to drink coffee after 12pm. 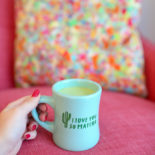 When the afternoon slump rolls around, a matcha latte is just what I need for an afternoon pick-me-up! Matcha tea is pretty caffeinated (similar to a cup of coffee), but it never makes me jittery like coffee sometimes can. 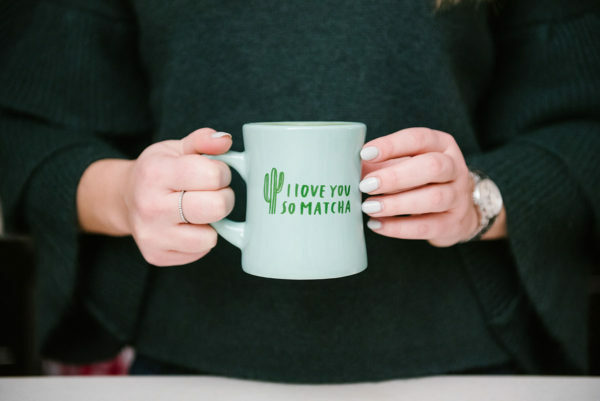 First thing’s first, what is matcha? 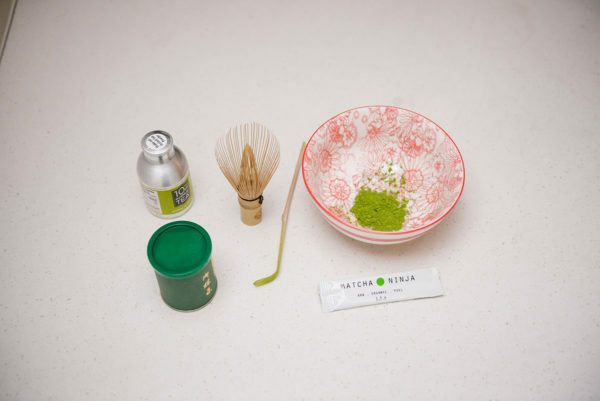 Simply put, matcha is powdered tea. When you order a green tea, you know it’s tea leaves infused into water… You (obviously) don’t drink the leaves. 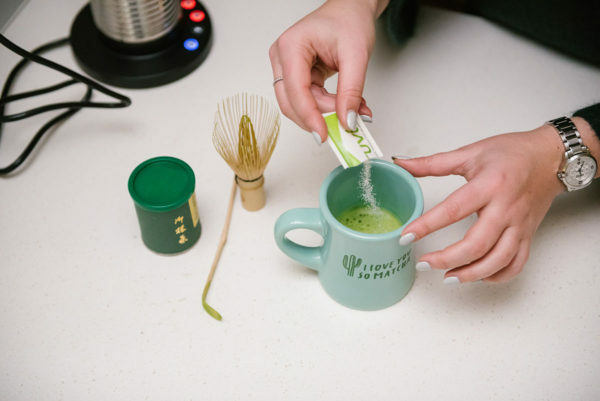 But with matcha, you’re getting the entire tea leaf in powdered form, which means a lot more health benefits! I’m not a doctor nor a nutritionist, but there’s said to be a ton of antioxidants and other great things. I’ll let you do the research for yourself! Merritt and I actually attended a class in Kyoto where we learned all about traditional Japanese tea ceremonies. Our instructor had studied the art of tea making and ceremonies for OVER TWENTY YEARS! Isn’t that crazy? 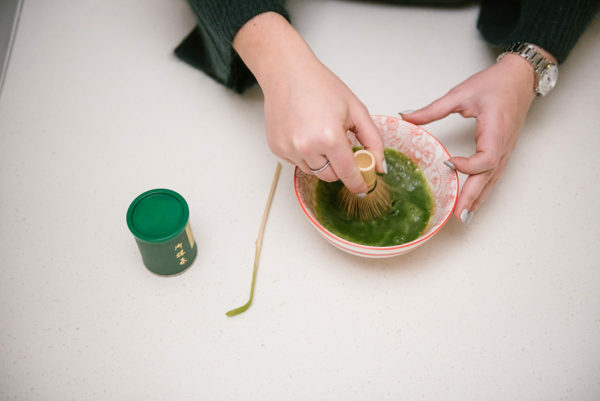 There’s so much that goes into a full tea ceremony (we obviously only skimmed the basics in the hour presentation in Kyoto), but I’m going to share a few of the things I learned about making matcha tea, as well as the recipe I’ve come up with to make matcha tea lattes at home! A Mug | I got this one at Alfred Tea in LA! Bamboo Whisk | I bought mine in Japan as a souvenir, but you can find them at major stores in the US! I found this set that contains a bamboo whisk, bamboo scoop, and a tea bowl. Tea Bowl | I use a variety of bowls in my kitchen, but you want something with higher sides so you can whisk properly without making a mess! 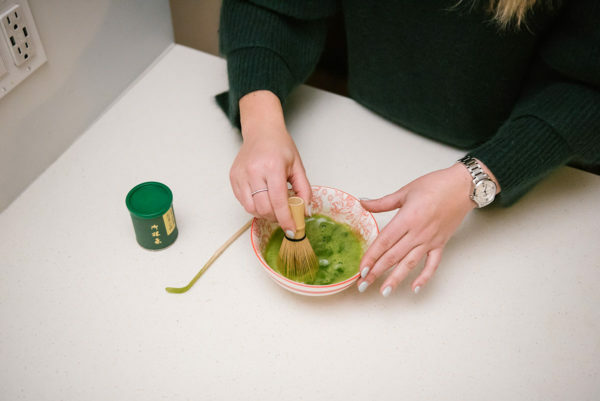 Matcha Powder | Again, I bought my matcha powder in Japan, but it’s possible to find quality matcha powder in the US, too. 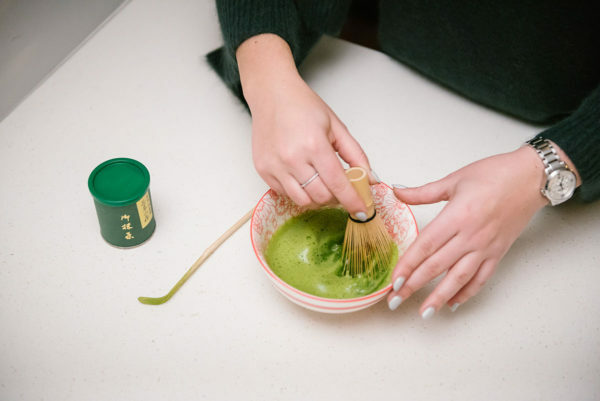 If you’re buying pure matcha powder, it’s going to be kind of pricey. If you see a great deal, it’s probably because it’s not pure matcha so look at the ingredient list. Aeroccino | I have this Aeroccino that came with my Nespresso machine that froths and heats milk! First, start heating your water! 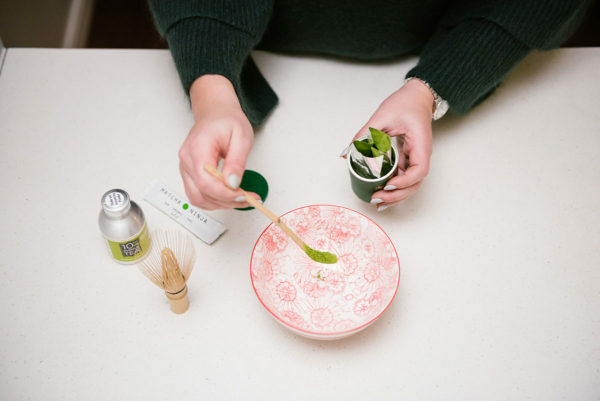 Then, scoop about 1 teaspoon of matcha into your bowl! I use two generous bamboo scoops. Next, pour about 1/4 of a cup of hot water into your bowl and use your bamboo whisk to mix! It’s a common misconception that water needs to be boiling, but it should not that hot! It actually burns the tea and ruins the taste. We learned the water should be a bit cooler than it’s boiling point… about 80 degrees Celsius, or about 175 degrees Fahrenheit. This kettle is perfect for making sure you’re not getting your water too hot! About the whisk… Do you need a bamboo whisk? Who knows. But the bamboo whisk does a great job of making sure there is not a single bit of tea powder leftover in your bowl. (Hey, it’s expensive!) And it creates the ‘bubble’ on top really well, too. I haven’t tried it with one of my regular whisks, but feel free to do so and report back! We learned to use your whisk in very quick (read: aggressive), straight top-to-bottom motions until you get that frothy foam on top. Once you’ve got the foam, go around the bowl a time or two to get any loose powder stuck to the side! My Aeroccino takes a minute or two to warm the milk so I start that before I put my matcha tea into my mug. I use about one cup of almond milk! 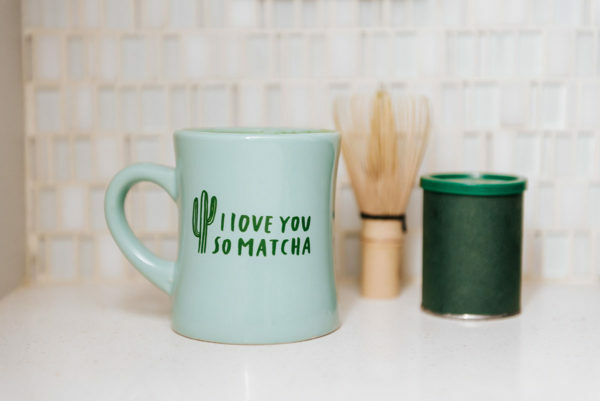 I transfer my matcha tea to my mug (over the sink) and then put about half a packet of stevia into the mug! You can use any sweetener you like, but I personally prefer stevia. Another little tip: I store my matcha powder tin in the refrigerator per the Japanese shop owner’s instructions! I was recently sent these Matcha Ninja packets of pure matcha that are great for hot and cold tea on the go, as well as this green tea matcha blend from a local Chicago company. Once my milk is warm and frothed, I pour it in and enjoy! It’s about 1.25 cups of liquid, so it only fills some of my giant mugs about halfway. (So don’t be alarmed if this happens to you!) If I’m not paying attention, it’s gone in a few sips. But it teaches me to slow down a bit and savor it! Any questions? 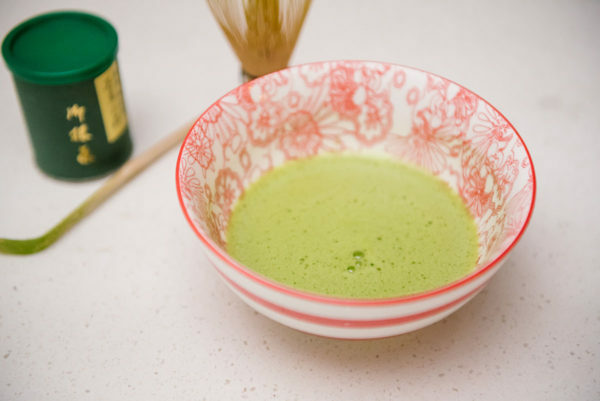 Any suggestions for where to buy matcha powder easily in the US? Any tips and tricks you want to contribute? Let me know in the comments below! Been wanting to try this for months! Thanks for the recipe. I love treating myself to a matcha latte whenever I’m by a David’s Tea. They sell matcha but I’ve never been ambitious enough to try and make a latte myself, but maybe now I’ll need to try. Also, they sell the bamboo whisks! i read your blog every day, but this is my first time commenting – it’s like you read my mind! 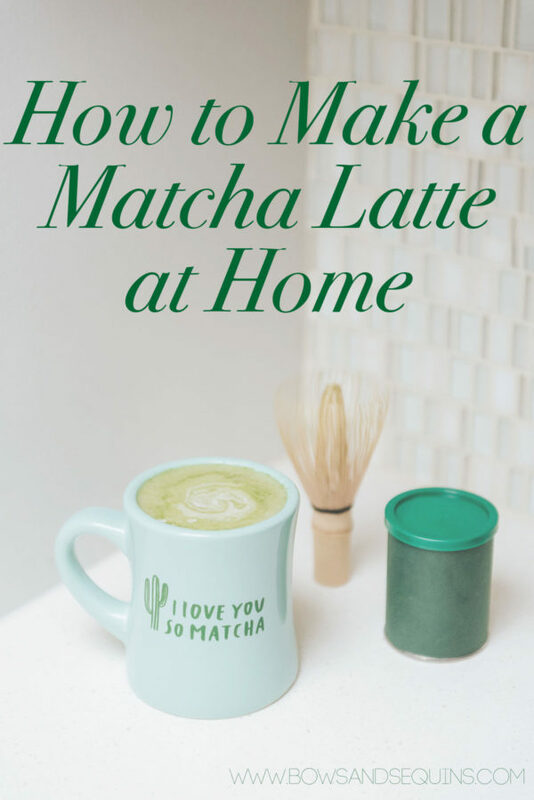 i’ve been wanting to start making my own matcha lattes. I went to a local juice shop the other day and they made mine with honey, matcha powder, nutmeg, almond milk, and hot water in a vitamix – it got super frothy and was blended so well; may have to try the traditional method as well as the vitamix! 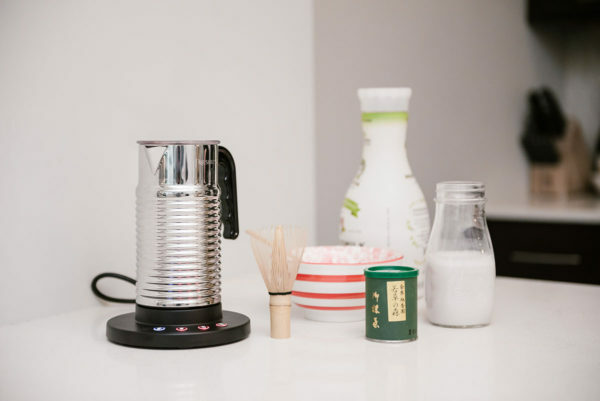 It looks so much easier than I thought to make matcha tea at home. I really have to give this a try! Love this little tutorial. 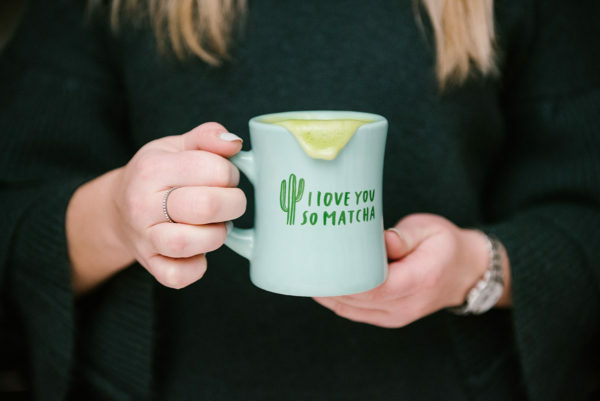 My coworkers and I were just chatting about how good Matcha is and that we need to be drinking it more! I just bought some matcha and have been trying to find a good recipe! I’m totally going to try yours! Thanks! 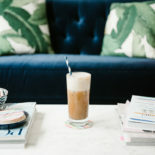 Do you have a recipe post for your iced almond milk lattes? Love this demo! 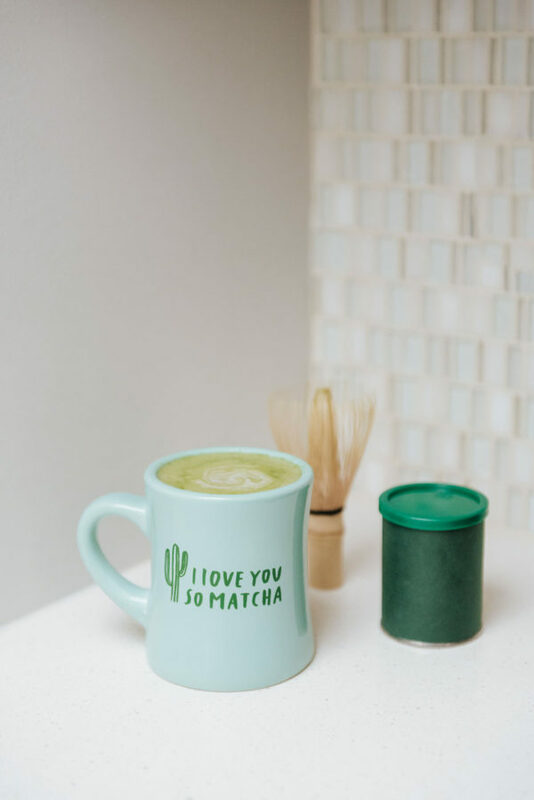 I love love love a good homemade matcha latte. 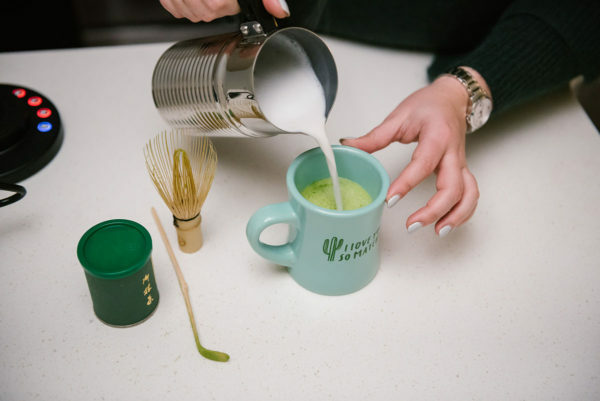 I buy my matcha exclusively from Mizuba Tea Co (mizubatea.com)! 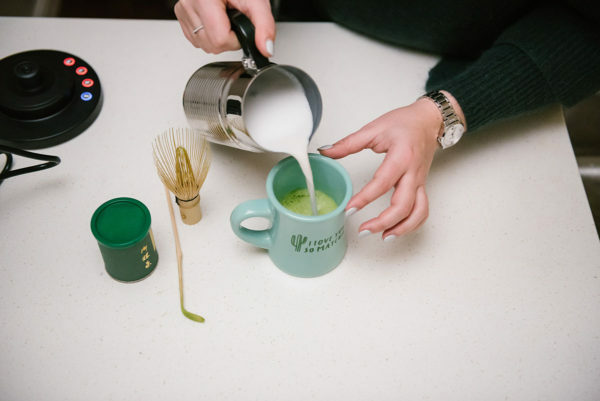 They’re a Portland company that imports their tea straight from Uji, Japan – the birthplace of Japnanese green tea. IT’S SO GOOD!